In my opinion, wine fairs are not the best place to taste a wine if you want to understand it fully. Good wine needs time, and I think the best test is to drink the whole bottle with your friends during the meal. 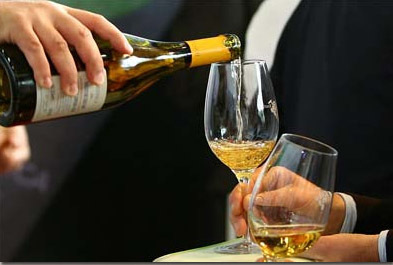 Nevertheless, the fairs are useful to get a first impression of the style of a winemaker and to hear his gossips on the wines of the competitor. This is always a lot of fun and can help you to observe the trends. For example, on this year’s edition of Vinistra I heard a lot of opinions on how “real” Istrian Malvasia should be made. Some winemakers believe they have found the right way to make it, and that others are producing it badly. After tasting more than a dozen of different Malvasias, I can say I do not agree. More than 80% of the samples gave me more or less the same amount of emotions (quality), just the way they were telling me their story was different (style). Yes, their styles were different. Here are the main three styles in making Istrian Malvasia that I managed to discover. The most spread one is the mainstream style, whose main representatives are Arman, Coronica, Benvenuti, De Grassi, Gržinić, Kozlović, Matošević, Rossi, Trapan, Zigante and many others. It appeared 15 years ago with the advent of small private wineries in Istria that started to produce a wine in line with the world trends of white wine vinification: no contact with the skin, fermentation in inox barrels under controlled temperature, introduction of non-indigenous yeasts. They produce a crisp and fresh white wine, greeny yellow to straw yellow color, aroma is mostly varietal and herbaceous, less fruity, medium body, to be consumed within year of two, excellent with seafood or as aperitif. In the last few years this ready-to-drink Malvasia has become the most popular white wine in Croatia. Few years ago many winemakers introduced sur lie technique, where wine after the fermentation is left in contact with the yeasts for many months (6 – 12). This in turn produces Malvasia of more complex aroma and taste, that needs to be aged at least 10 months and have enhanced aging capabilities compared to the ready-to-drink version. Within the mainstream style, there are wineries (Panjoka, Cuj, Tikel and many others) that produce a rustical version of Malvasia whose aroma is more varietal and fruity, of light to medium body, and that are nice easy-to-drink wines. Every sip invites another one. To my knowledge, just two wineries are following the traditional methods to produce Malvasia – Clai and Roxanich winery. They use prolonged contact with the skin (maceration of at least 20 days), use only indigenous yeast, the fermentation is happening in large oak barrels, and temperature might be or not controlled. These wines need at least two years of maturation in large oak barrels, like in the old days, otherwise they would be to acidic. The usual white wine drinker will not immediately understand them and I find them also hard to describe them. Their color is full golden yellow, aroma is not at all fruity or herbaceous like in mainstream Malvasias. Instead, you feel earth, dried flowers and fruits and excellent minerals, in fact, aroma is more similar to some reds. In the mouth you immediately feel acidity and some tannins, but they should remain well balanced, smooth and silky on the tongue. Here are tasting notes of a Malvasia Antica from Roxanich, made with maceration with the skin of very long 60 days, and aged in large oak barrels. Full gold yellow in color, it has aroma of dried figs, notes of dried mushrooms and dried wood crust, earthy and stony, dirty. Excellent spiky acidity and tannins are well balanced with smooth and silky flavors of paraffin, crushed stones and slightly spicy in the finish. Full-bodied. Excellent wine, but not for everybody. Excellent with more structured fish dishes, poultry, rabbit, pasta with thick and creamy sauces. Serve at 15º C. Price: 120 kn (18 euro) without tax. Finally, I dare to declare that a third style is being born – the New World Malvasia that is being produced only by young winemaker Roberto Tercolo from Nova Vas near Poreč. 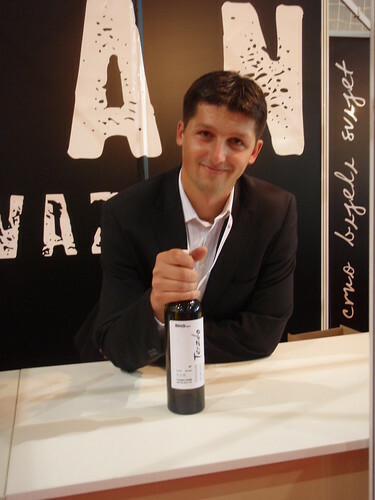 Although he uses vinification techniques of the mainstream style, his Malvasia is different. The from 2008 has aromas that are easily discoverable and completely unusual for this variety, a funky wine and so funny to drink it. Perfect for people that are just starting to appreciate the wine. I should congratulate to Roberto for having courage and knowledge to produce a Malvasia totally different from all the others. And thanks for a nice discovery. Straw yellow in color. Strong aroma of white flowers, banana, papaya with slight notes of solvent smell. In the mouth has nice acids, well balanced, smooth on tongue, with fruity flavors of peach and green apple. The finish is pleasant with mouthwatering minerals, with hints of tropical fruits. Medium body. Excellent with asiatic food, and in general with dishes with a lot of aromatic herbs. Serve at 10-12 ºC. I was supposed to have visited Pula this summer, but other things came in the way. For the moment I´m planning to go next summer/autumn. I´m a fan of Istrian Malvazija. For the moment one of my friends is staying in Pula this week. I want him to bring me a really good bottle of Malvazija of the traditional style. I want a “orange” wine like 2006 Roxanich “Malvazija Antica” or similar. Can you recommend some wines? Can you give some tips about where to buy the wine in Pula?